Bibby Scientific Middle East will be showcasing all the latest innovations from Jenway, Stuart and Techne at Arab Lab, the analytical industry's major international show in 2011. Running from 7th to 10th March at the Dubai International Exhibition Centre, Dubai, Arab Lab 2011 is a global platform for science attracting over 800 exhibitors and 10,000 visitors from 75 countries. The exhibition gives customers and dealers the opportunity to see all the newest products from Bibby Scientific including the new Jenway 73 series spectrophotometers, the new Stuart SMP20, digital melting point, the new Stuart SI505 incubator and the new Techne TC-PLUS thermal cycler. 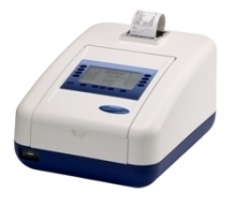 As well as the new entry level spectrophotometers Jenway will be showcasing the 67 series split beam spectrophotometer and our first true double beam instrument, the 6800. Along side an extensive range of spectrophotometers we will be exhibiting the 3510, 3540 and 4510 bench electrochemistry meters. 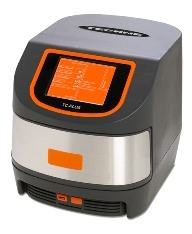 The Techne spotlight will be focused on the new TC-PLUS as well as our existing thermal cyclers, the 3000, 3000G and 4000. Along side the thermal cyclers Techne will be showcasing their sample cooling range including the Bl°ckIce and N°Ice. Stuart will be previewing the new colony counter, the SC6+, which now has connectivity to a PC and printer and has an energy efficient LED lighting system. Stuart will also be showcasing the new digital melting point, the SMP20, in addition to the existing range of melting points including the SMP30 and automatic melting point the SMP40. As well as the extensive range of melting points Stuart will be exhibiting their hotplate stirrers and wide range of rockers and shakers. Bibby Scientific's new CEO, Jim Heffernan will be attending this year's Arab Lab. Visit Bibby Scientific Middle East at Arab Lab Stand 144.